Future proof yourself at Web Directions Summit. If you’ve been in the industry any length of time, you’ll know how essential it is to keep your knowledge up to date, and how much work that can be. One of our key goals with our events is to help attendees do just that, and as always this year’s Summit features keynotes, design and engineering track sessions that focus on this near term. After all, when we named Web Directions, we chose the word “Directions” for a very specific reason – our goal has always been to think about what comes next. Not in some hand-wavey, 10 years down the track way. But emerging trends, ideas and technologies we believe our audience should be investing in now, or at least investigating as part of developing medium term strategy and solutions. Caroline Sinders will consider the raft of new technologies that promise a revolutionary impact not unlike the rise of the internet and Web–which may sound like an exaggeration, but there are many who believe AI, Voice interfaces, blockchain and IoT among other still early stage innovations will see impacts far greater than even the impact that industrialisation had on the 20th Century, and computing has had to date. But, what are design principals we should keep in mind for creating with new technology? Instead of building future worlds imagined in the ’60s during the Space Race, what is the future now, and how can we build it? Legendary speaker (he’s keynoted a number of times, always with electrifying results) Mark Pesce is developing something brand new, and top secret for Web Directions Summit. Mark’s presentations can be transformative experiences. 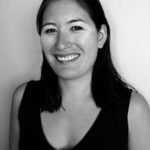 Peggy Rayzis will take an in-depth look at GraphQL, and help you understand how adopting it will make your organization better / faster / stronger. Alex Danilo will let us know all about WebAssembly, a way of dramatically improving the performance of critical bottlenecks in code, porting legacy codebases to the Web, even extending the Web platform itself. It’s one of the most exciting enhancements to the Web Platform in a long time, and now supported in all modern browsers. Rachel Andrew, one of the people at the very forefront of CSS will bring us up to speed with the current state of web layout. A revolution has arrived, are you taking advantage it? And just as layout technologies have been overhauled so too has Web typography, with the now widely supports variable fonts. Bringing benefits to performance (whole font families can be a single file now!) as well as typographical design, Mandy Michael will have you racing back to work Monday November 5th pout them into action! But we’re not leaving designers out of the action. Conversation and voice are are moving beyond the hype and fad to critical interaction models. Joe Toscano will explain why conversation will play such a large role in the future, define how it will happen, and suggest how you can integrate conversation into your product roadmap. The latest edition of the Web Accessibility Content Guidelines have arrived WCAG 2.1, with a raft of new criteria impacting layout and interaction design. Hear how WCAG 2.1 impacts, and benefits designers from Allison Ravenhall. We’re all goal citizens now, living in a cross-cultural world. And this poses particular challenges and opportunities for smaller nations like Australia. Yiying Lu will will share her 10 years of cross-cultural design practice for global brands such as Disney, Twitter and more. And if that seems like a lot we’ve barely scratched the surface of the program, 28 sessions in total, across two big tracks. With great pricing for freelancers and not for profits, as well as extra special team offers, future proof yourself and your team at Web Directions Summit. Three days of talks, two of them in the engineering room. Web Directions you have broken my brain.